Jump to video Sons of the pharaoh? 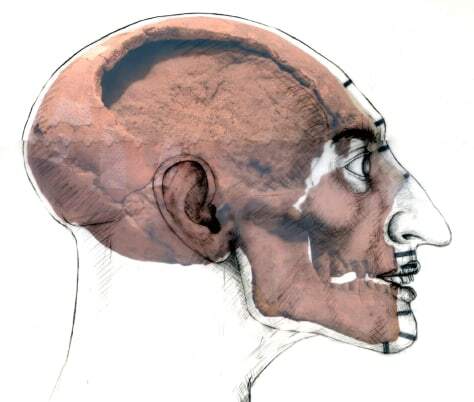 A sketch showing the head of the suspected firstborn son of Pharaoh Ramses II is laid over a color picture of a skull found in the KV5 royal tomb. The sketch was done by Dr. Caroline Wilkinson based on the cranial measurements of the skull.